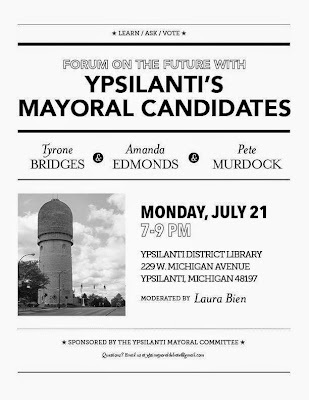 If you live in Ypsilanti and plan on voting on in the upcoming mayoral primary. 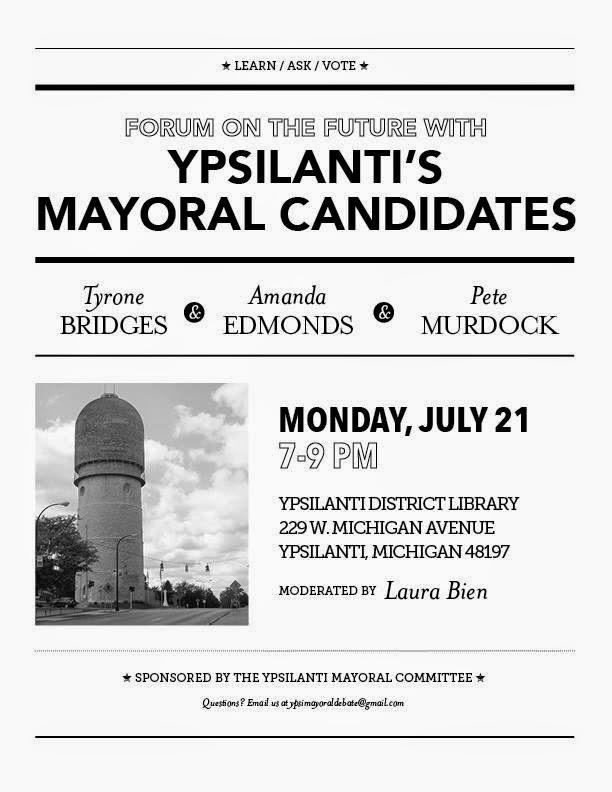 Make sure to check out tonight's debate at the Ypsilanti District Library's Michigan Ave. branch. The three candidates who are vying for the Democratic nomination will be sharing their views about the future of our city.